This list is by no means inclusive, but for the benefit of our membership. 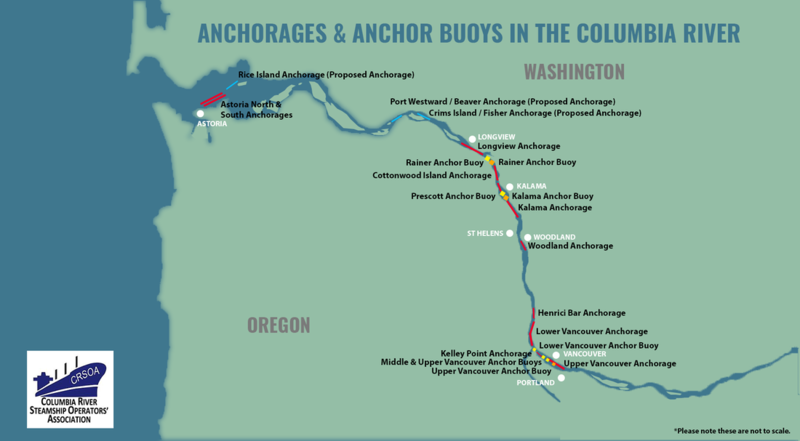 For more information regarding anchorages and anchor buoys in the Columbia River, please visit the ​Lower Columbia Region Harbor Safety Committee's Harbor Safety Plan - Anchorage Guidelines. For previous reports, visit the legislative page.